We welcome our volunteers at Oak Hammock K-8 School and believe you provide an invaluable service for our students to reach their highest potential. Volunteers are a vital part of our success at our school. Strong family, school, and community relationships support our goals so our students can achieve in tomorrow’s world. For more information about our Volunteer Program please click the link below. Please read below on the process to becoming a volunteer with our school. 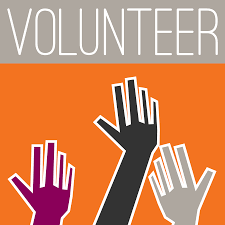 Upcoming volunteer orientation meetings will be posted on the website and our school facebook page. Please ensure you attend a volunteer orientation meeting in order to start as a volunteer. You do not need to be cleared in order to attend a volunteer orientation meeting. We welcome anyone who is interested and wants more information, those who submitted an application, and those who are cleared. All volunteers must renew their applications each school year. If you are new to volunteering or renewing, please click the link below to access the SLPS Volunteer application. Please remember to upload a valid ID and submit your application when it is complete. Please complete the online application and upload a school issued ID if you do not hold a driver’s license. Also, the guidance department at your school will give a paper application which must be signed by parents/guardians and turned into the Volunteer Coordinator at the school you wish to volunteer. Below is the volunteer application.